We are local Lehigh Valley PA Locksmith company serving Hellertown PA: 18055, and surrounding area. 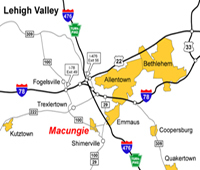 We have been serving Hellertown, frequently, and for many years. Helping people is our main goal, and get you back in your house or car fast is our main goal. When you look for professional locksmith services in Hellertown, re-keying locks is our expertise. not to mention repairing locks or car keys made on site, and more. Our mobile locksmiths drive to you in Hellertown with a fully equipped van to perform the job on site and without hesitation. When you required a skilled locksmith on your side, please call us. For your convenience, we’re working 24/7 for emergency and non-emergency locksmith services. You can rest assure that any time you contact us, we’ll answer your call, day or night. When you need professional locksmith service in Hellertown PA, simply, give us a call. In the light of emergency locksmith service, fast response is our first priority. Another key point is our response time to emergency locksmith service is 20 minutes. Yes, you’ve heard it right, our professional will be on-site 20 minutes after your first call. When you lock yourself out of your home or need to remove a broken key out of your lock, you may call us. We know it is not a pleasant moment, especially when you wait out in the cold. That is the reason why we offer 20 minutes response. 24/7 Hellertown PA Locksmith wants to be the source for all of your lock and key needs. Our locksmiths can come and furnished the security you need to your property. Whether you’re a business owner or home owner, you can count on us to treat you with the same level of courteous and professionalism. We provide automotive, residential, and commercial locksmith services in Hellertown and throughout the Lehigh Valley PA. When you need a locksmith in Hellertown, call our professional locksmiths to get you back on your day in no time. Don’t stay behind, you may feel confident calling us because you also deserve fast, reliable and affordable locksmith services. When you call the best locksmith in Hellertown, you get the best service that you wish. With us, there are no surprises, nor hidden fees.